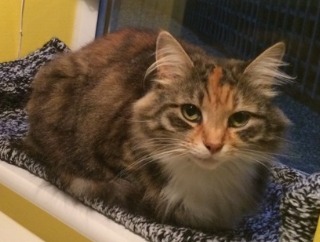 Missy is a pretty long haired tabby, who has come into the care of the charity due to her owner's change in circumstances. She is a sweet natured cat, who likes fuss and attention, she is a lap cat. Missy is still playful and enjoys playing with her toys.